Whew, this is a topic I never thought I’d publicly discuss. Vulnerability ranges in levels these days. Some are more transparent than others, but we often never discuss how we handle being weak. As a Woman who prides herself on being confident, strong, and able, I often find it hard to discuss how I allow the weaker moments of my life enter and consume me. Yes, we are all able to push through the pain and jump into survival mode, but what are the steps leading up to that? Exploring this will be insightful and refreshing for many. 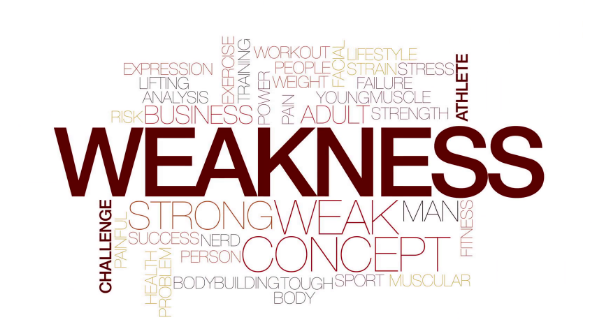 Weakness is defined as the state or condition of lacking strength. Lacking strength is intended to be developmental. When we are at our lowest, the most profound and intentional thoughts manifest. When you have no resources, you can only rely on what you have, which essentially is you. We all want to “Drop Gems” and discuss the success, but let’s not forget the process. Now how do you welcome weakness? Being vulnerable is not my strong suit, and accepting that has created a place in my heart for desired development (That’s a phrase, let me write that down. LOL.) In your quest for being your best self, understand you have to accept your worst self first. Keep transforming, keep dreaming, keep aspiring, keep welcoming all of you.